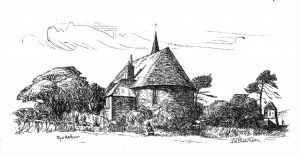 The church of the Holy Spirit at Rye Harbour was built in 1849 in the gothic style, thanks to the kindness of Mr & Mrs William Lucas Shadwell, who owned a local estate. The building, designed by Samuel Sanders Teulon, was constructed of local blue stone and Caen stone. Teulon was a distinguished figure in the history of the gothic revival. The church was extended in 1912 by a Mr C Spooner with a new Chancel in the 'Arts & Crafts' style, its glory being the roof in the shape of an upturned boat. The richly decorated pulpit was bought after WWII from Angmering in West Sussex. In 2000, a triptych designed and created by a local artist was installed on the blank apsidal wall behind the altar. The church, which in 2002 became a Chapel of Ease within the parish of Rye, serves about 400 people in Rye Harbour as well as the many holiday makers who visit. 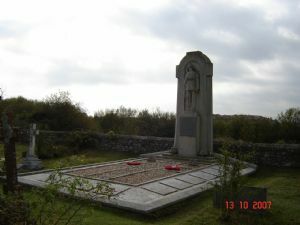 A substantial memorial commemorating the Mary Stanford Lifeboat tragedy of 1928 when the crew of 17 lost their lives, is situated in the churchyard. The policy of the Parochial Church Council of Rye regarding Baptisms, Marriages & Burials. Our normal custom is to restrict the 'occasional offices' of baptism, marriage and burial to the residents of Rye Harbour. In marriage we are governed by legal restrictions requiring a residence qualification or qualifying connection; with burials we are restricted as the churchyard has no burial spaces left. However, anyone seeking such services can turn to their own parish church where they have rights of baptism, marriage and burial.